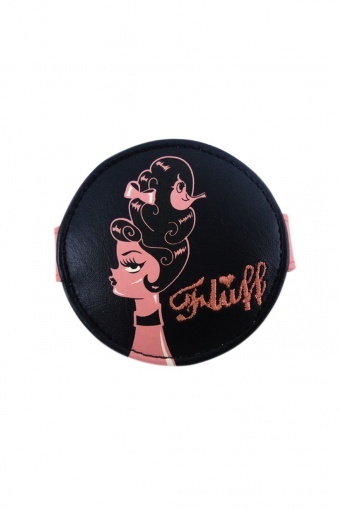 New label: Fluff accessoires by artist Claudette Barjoud! Dots N' Dolls snap mirror from Fluff. This supercute compact mirror is a must-have! Double mirror with a magnifying mirror, push button closure. Cute 50s vintage lady on one side, on the other side a poodle, printed on vegan friendly faux leather. So cute!